Dimensions 1.10 by 5.50 by 8.50 in. Video games have developed into a rich, growing field at many top universities, but they have rarely been considered from a queer perspective. Immersion in new worlds, video games seem to offer the perfect opportunity to explore the alterity that queer culture longs for, but often sexism and discrimination in gamer culture steal the spotlight. 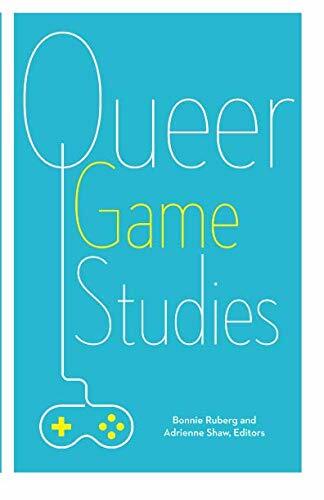 Queer Game Studies provides a welcome corrective, revealing the capacious albeit underappreciated communities that are making, playing, and studying queer games. Contributors: Leigh Alexander; Gregory L. Bagnall, U of Rhode Island; Hanna Brady; Mattie Brice; Derek Burrill, U of California, Riverside; Edmond Y. Chang, U of Oregon; Naomi M. Clark; Katherine Cross, CUNY; Kim dâAmazing, Royal Melbourne Institute of Technology; Aubrey Gabel, U of California, Berkeley; Christopher Goetz, U of Iowa; Jack Halberstam, U of Southern California; Todd Harper, U of Baltimore; Larissa Hjorth, Royal Melbourne Institute of Technology; Chelsea Howe; Jesper Juul, Royal Danish Academy of Fine Arts; merritt kopas; Colleen Macklin, Parsons School of Design; Amanda Phillips, Georgetown U; Gabriela T. Richard, Pennsylvania State U; Toni Rocca; Sarah Schoemann, Georgia Institute of Technology; Kathryn Bond Stockton, U of Utah; Zoya Street, U of Lancaster; Peter Wonica; Robert Yang, Parsons School of Design; Jordan Youngblood, Eastern Connecticut State U.